Continuous Fryer Machine used for:snack food,potato chips,chin chin,pig skin rings,onion rings ect. A) used for:snack food,potato chips,chin chin,pig skin rings,onion rings ect. B)design: all the machines are carefully designed by the mechanical engineers who have a lot of experience in this field. We accept special design according to the customer's request. C) processing and assembly: parts processing, assembly, and testing are based on standard testing. D)test run: each machine must be tested before delivery. 1. world famous brand electronic instruments ensure excellent and stable performance. 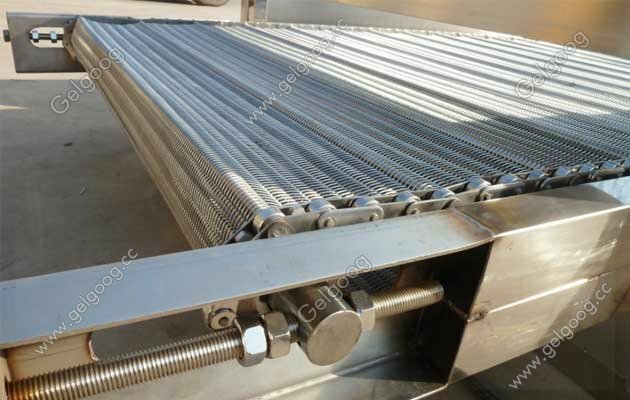 2. the control box is made of stainless steel or spray (optional), and the time of frying can be adjusted according to the need, and the oil level can be adjusted. 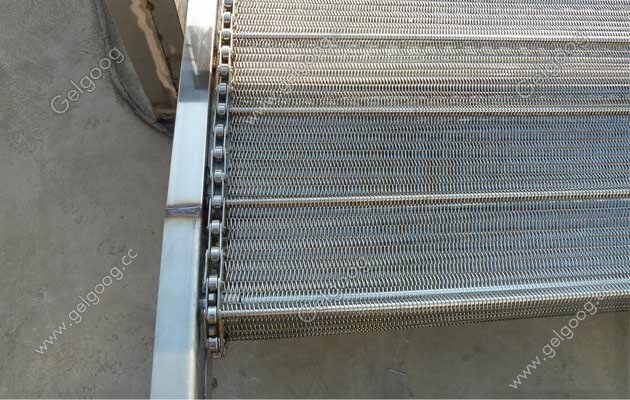 3. double layers of 304 stainless steel belt to prevent product floating, to ensure complete, perfect frying effect. 4. the scraper is fixed on the belt to make the product easy to come out. 5. electric belt and upper cover raise setting to make cleaning easier and save manpower. 6. different heating modes are optional: diesel, natural gas, electricity, and coal heating. We also have pellet flavoring machine and snack food packing machine for your choice, you can contact freely or leave message on our website for quotation. We will feedback soon.